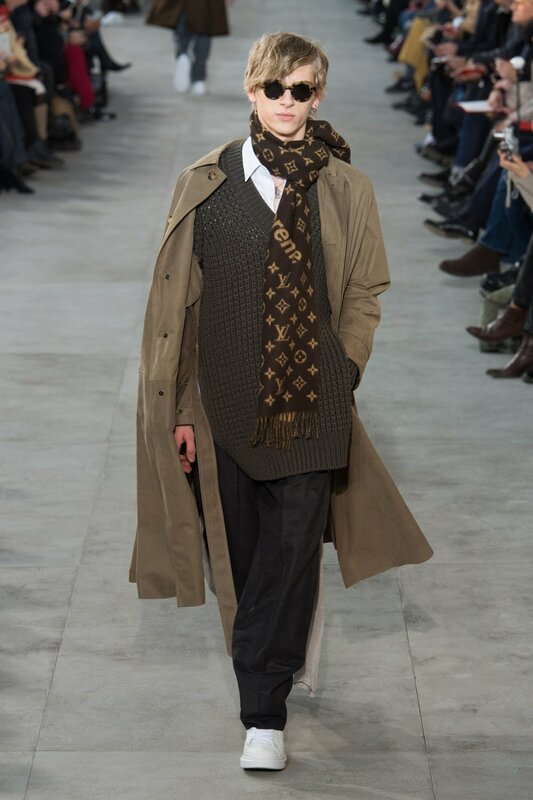 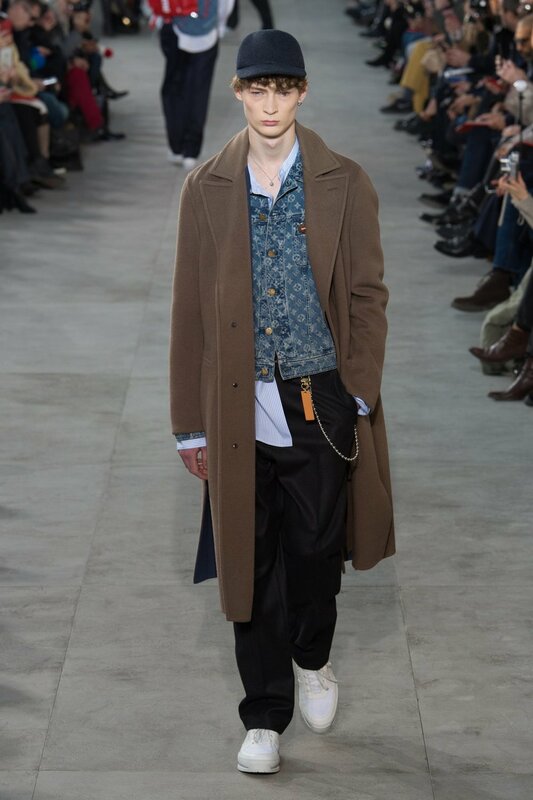 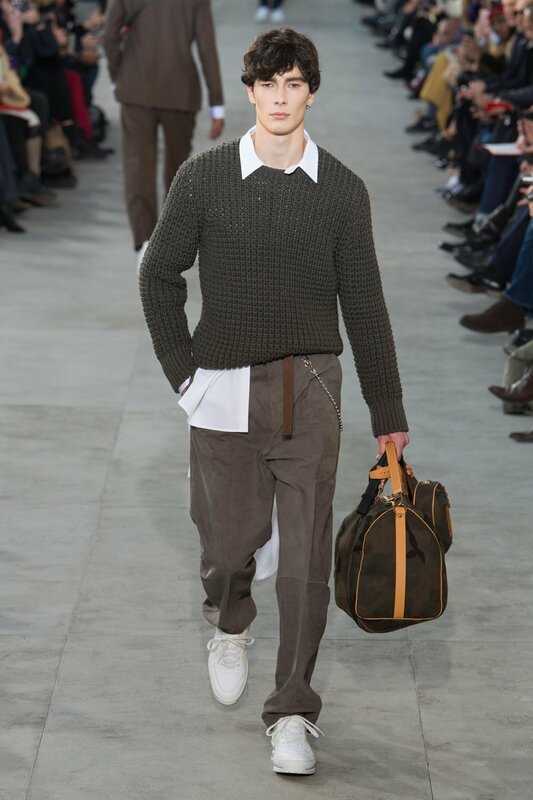 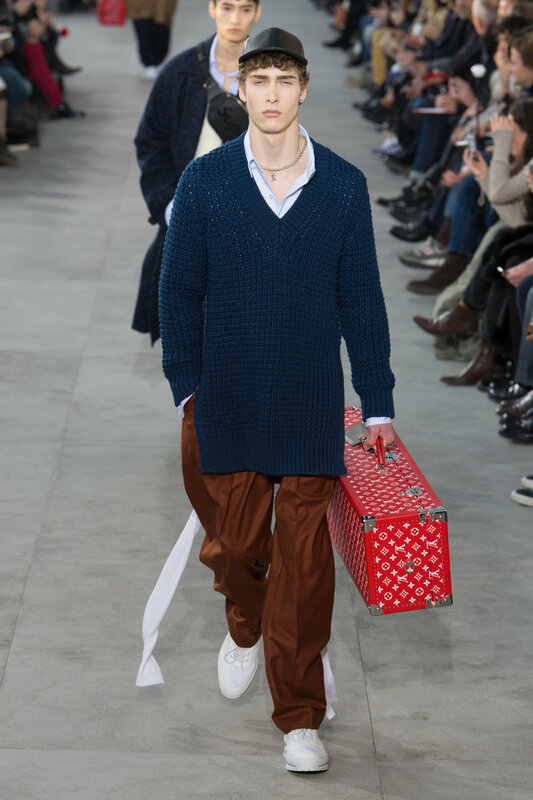 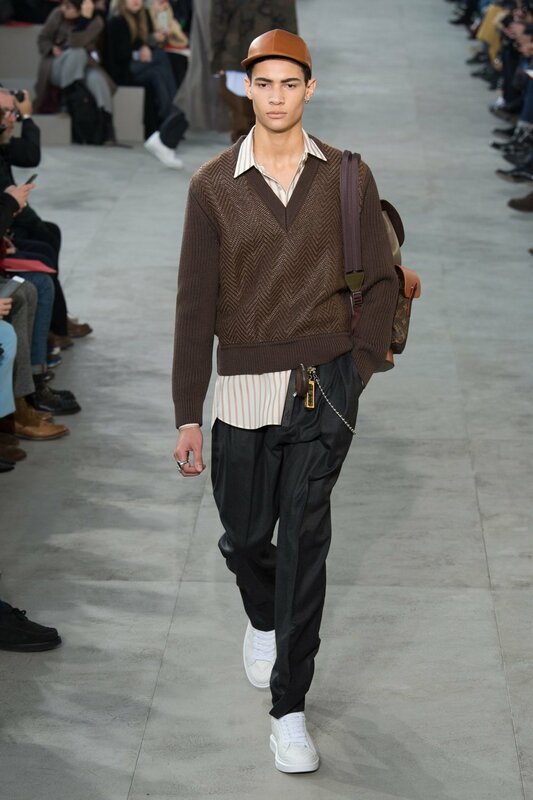 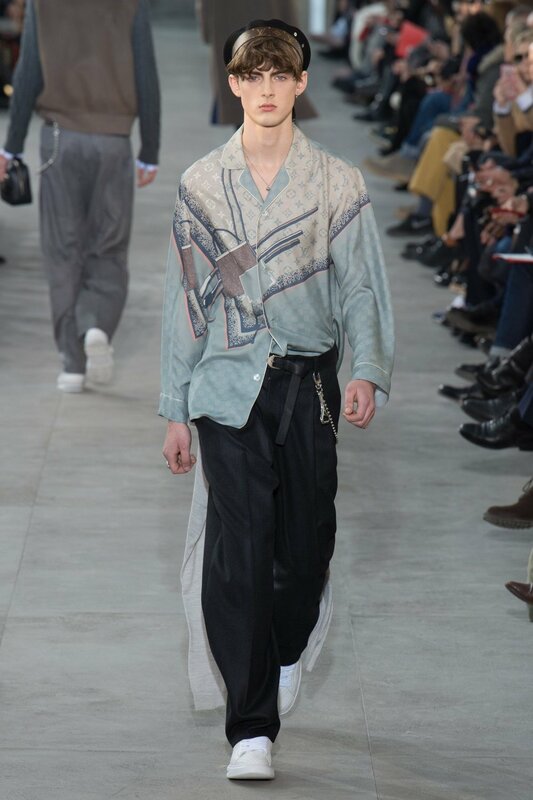 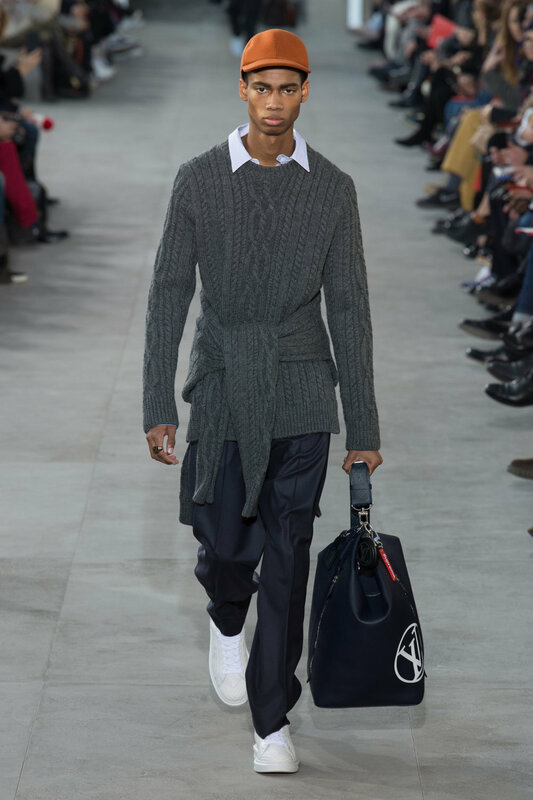 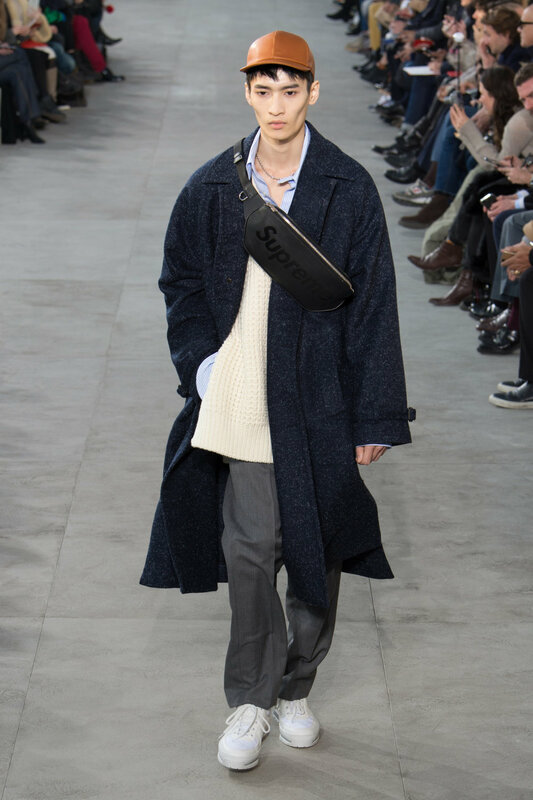 Louis Vuitton abandoned all the rules at their Paris Fashion Week Mens show, presenting a prepossessing tribute to the idiosyncratic stylings of New York. 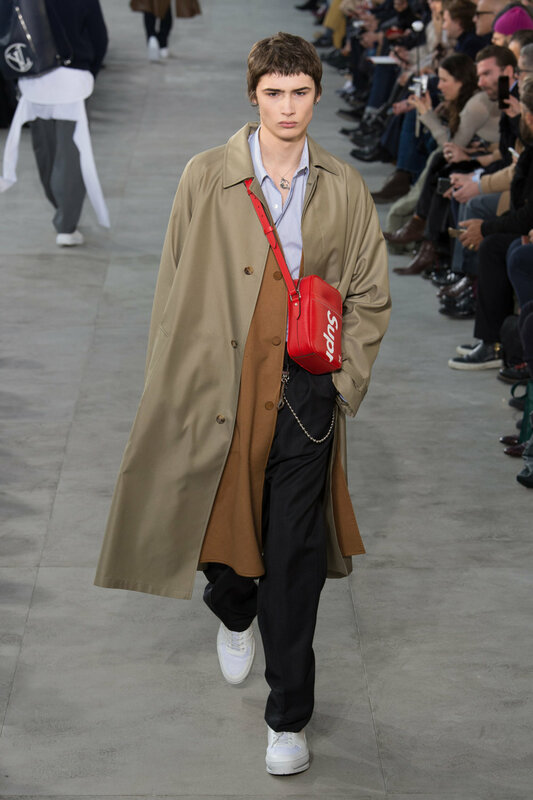 Kim Jones explored the eclectic and versatile dynamics of the city’s aesthetics during its cultural highs in collaboration with high profiling skate-wear label Supreme. 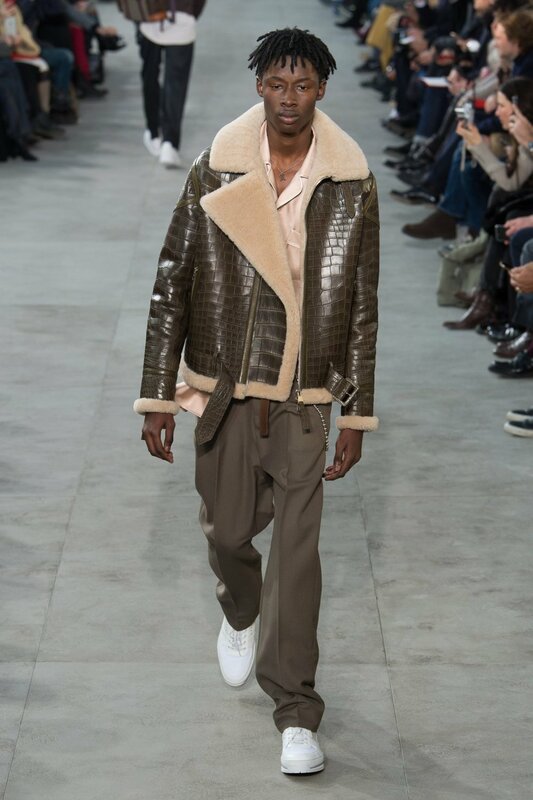 The AW17 collection exuded youth. 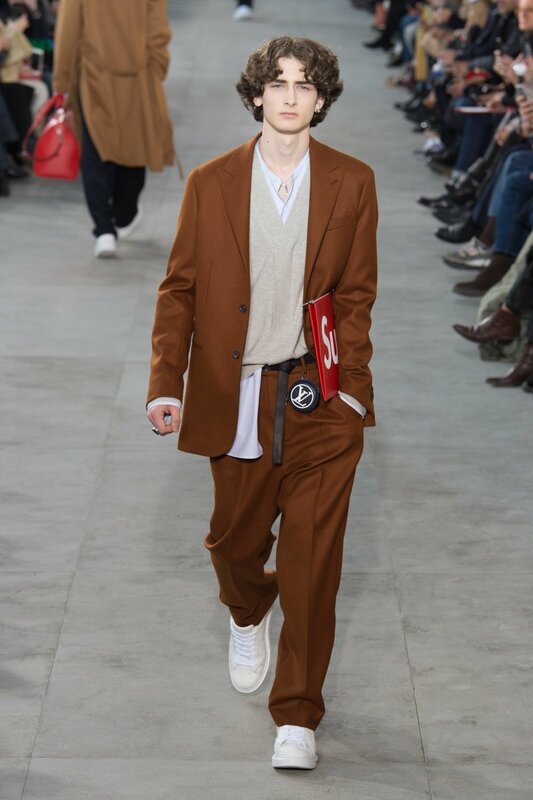 Each look displaying a delicious contrast of celestial grandeur and casual-sport undertones influenced by Supreme’s presence. 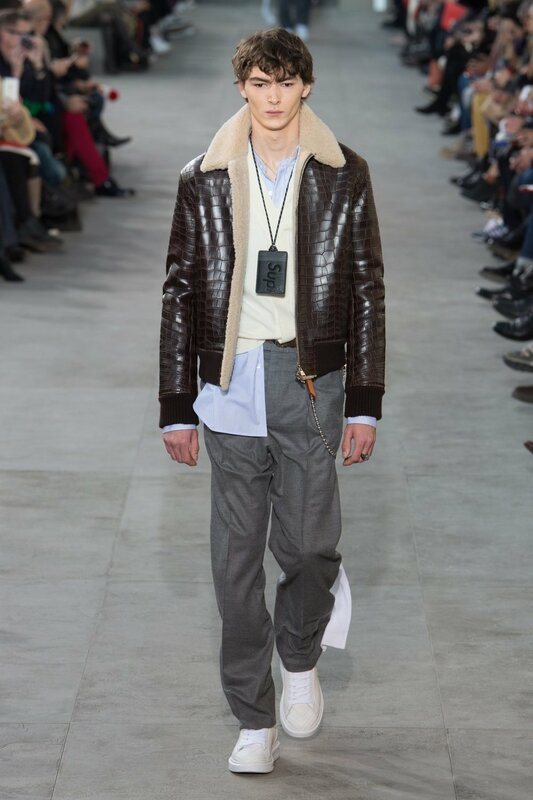 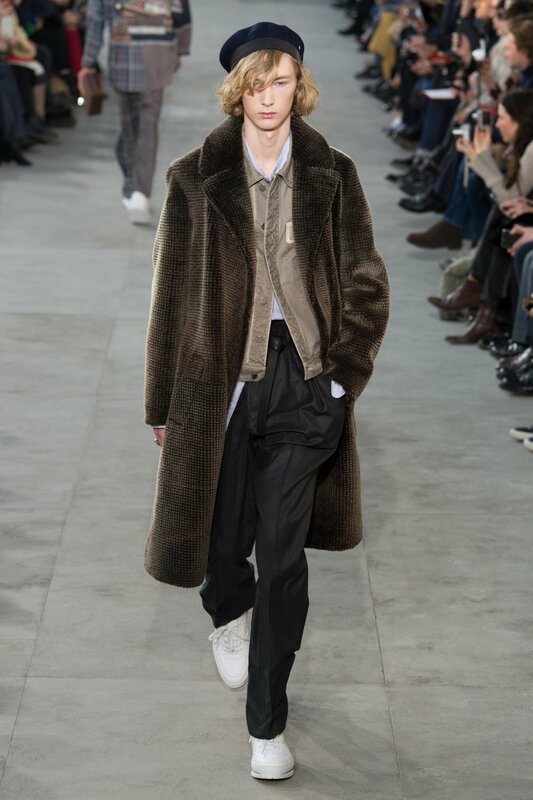 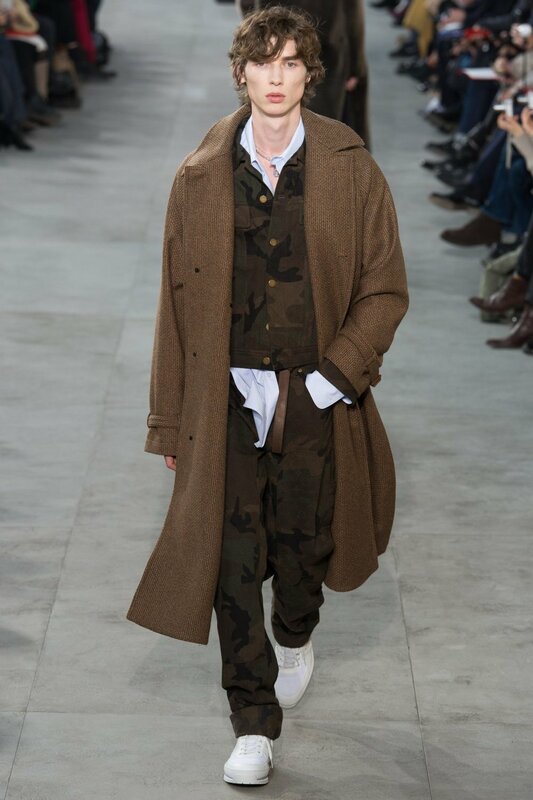 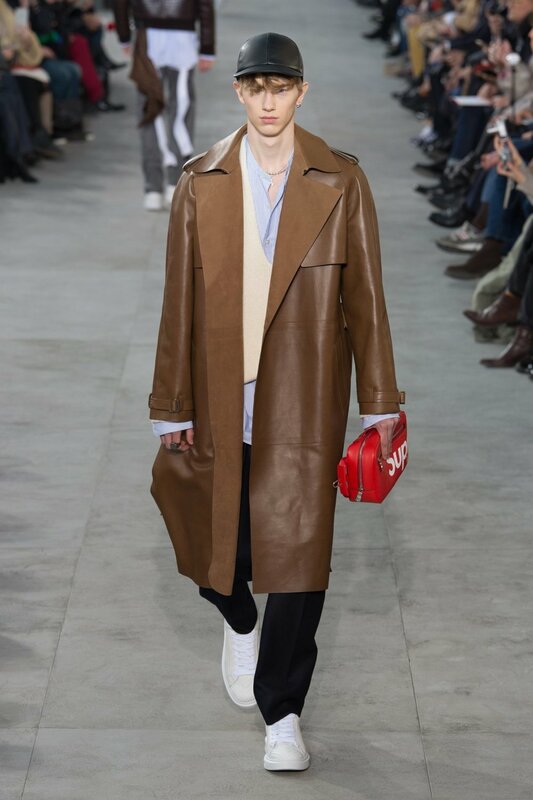 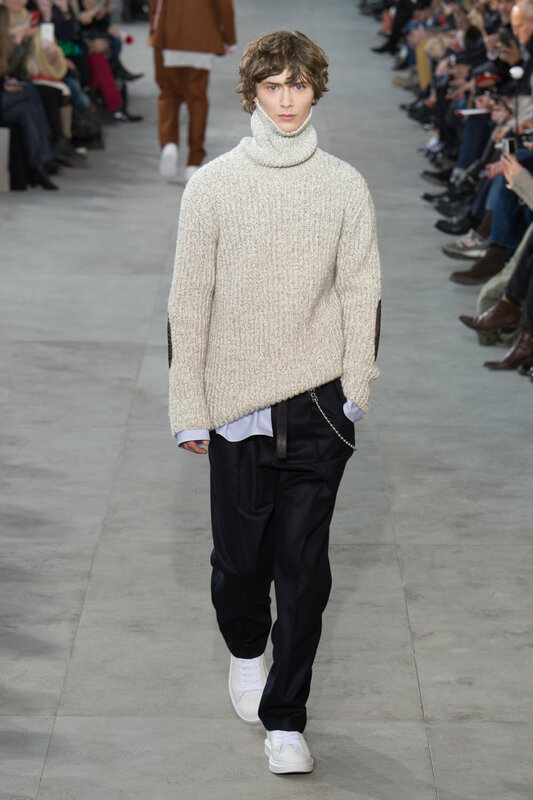 Extravagant shearling lined croc skin jackets and heavy leather trenches sat over baggy trousers, oversized knits and low buttoned satin shirts, producing protean pieces that referenced three decades of New York’s phenomenal cultural history. 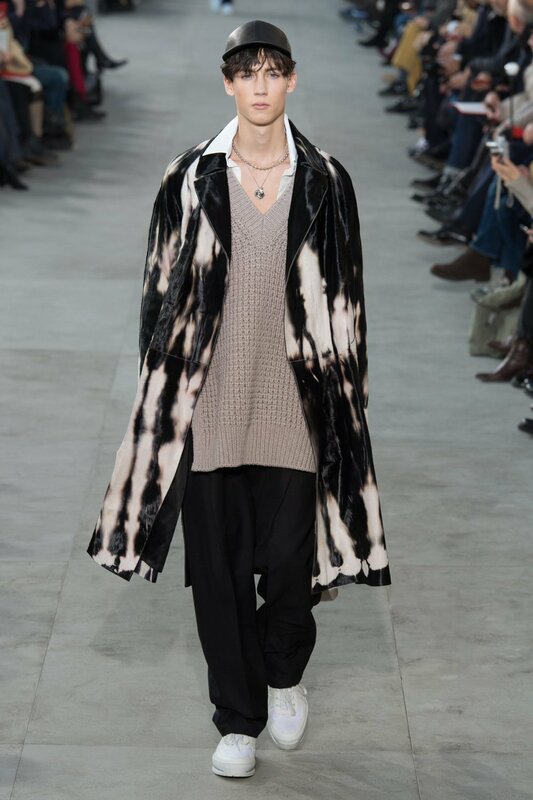 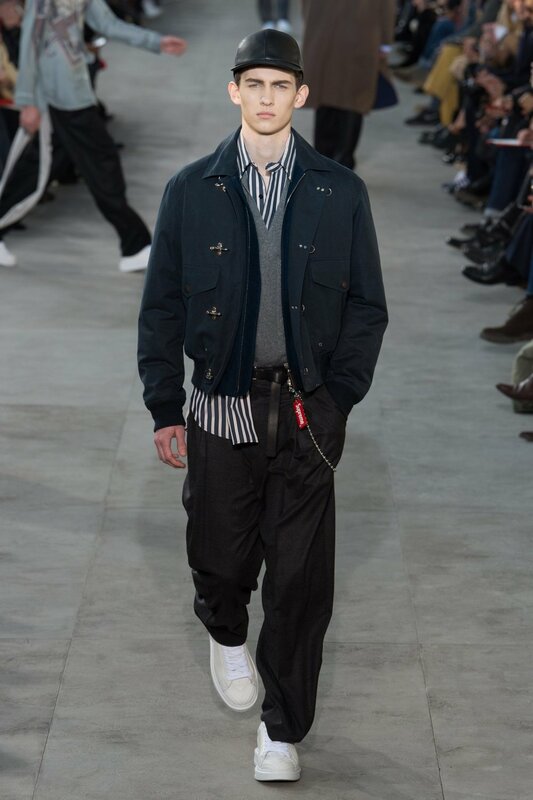 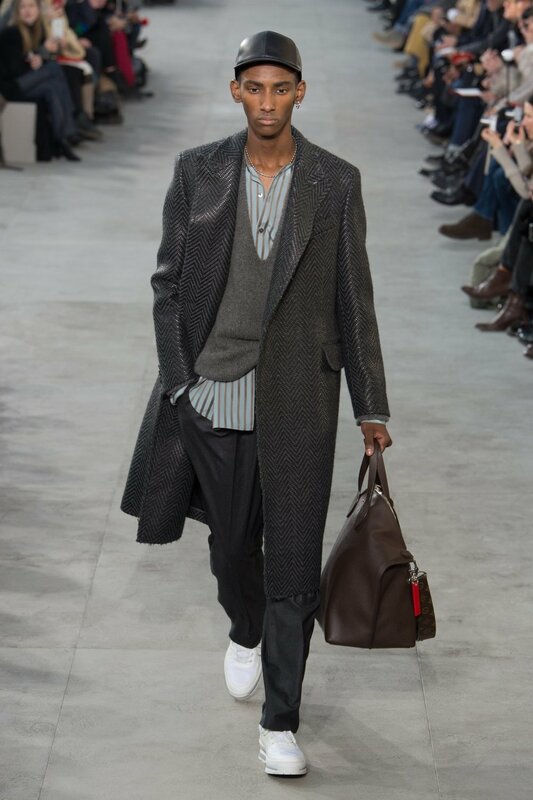 Jones' explored the subcultures, nightlife and art world of the city that never sleeps through satin pyjama-like shirts that were textured with flecks of juxtaposing colours, statement jewelry and loose billowing coats, giving a knowing nod to Studio 54 and Basquiat. 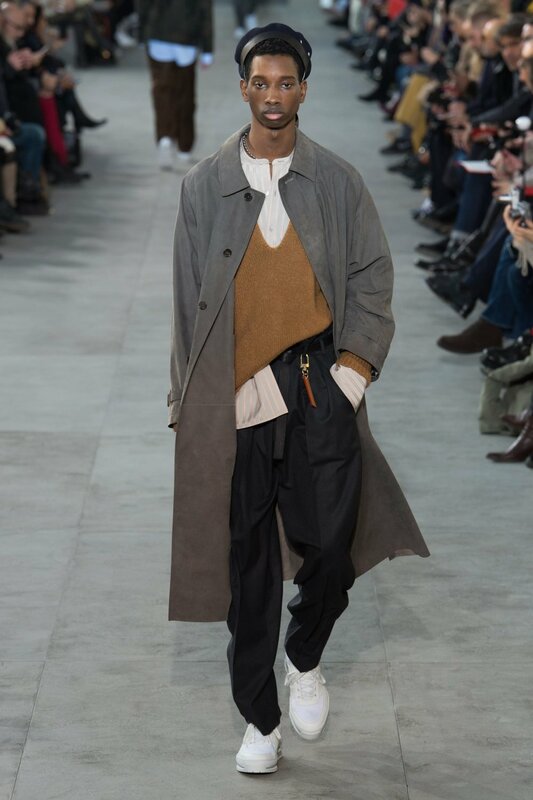 Each of the pieces injected a laid back aura to the ensembles, mimicking that of an artist in the studio consumed by his work. 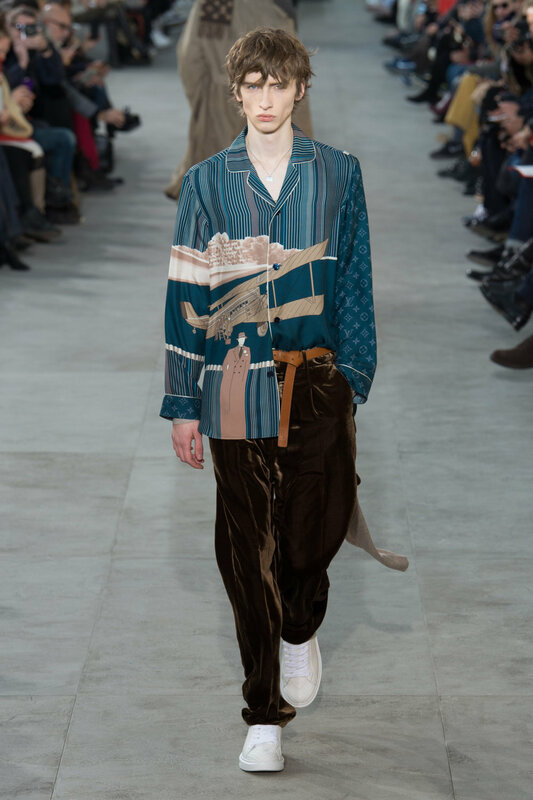 Liquid silk shirts and their occasional trouser co-ords were printed with patterns of Louis Vuitton luggage in mixed grey, navy and pastel colour pallets to create party scene driven looks, further enhanced by the shirt’s split sides, which were half tucked to give restless, disheveled attitudes to the otherwise luxurious items. 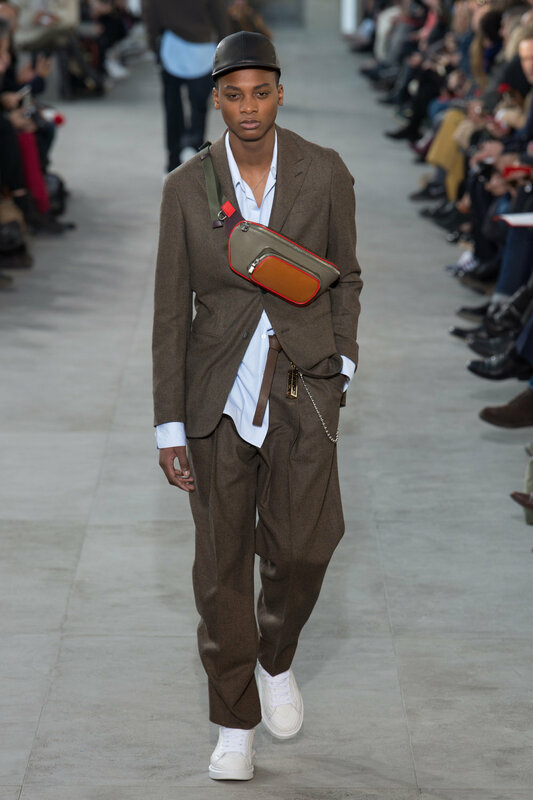 Accessories played the staring role of the collection, presented in three varying materials; black leather, woven camouflage and a final cherry red leather; Supremes signature shade. 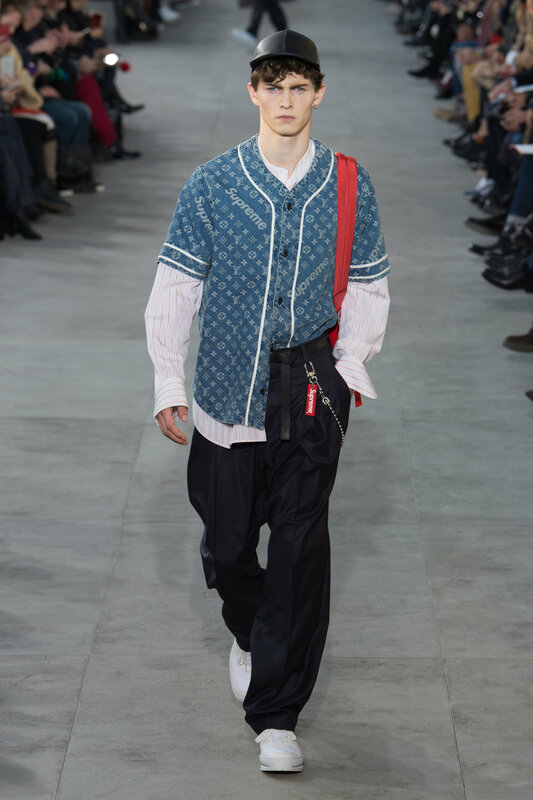 The backpacks, messenger bags, holdalls, duffle bags and even skateboards were stamped with Louis Vuitton and Supreme logos celebrating the desirable cult-like statures both motifs now hold in the fashion world. 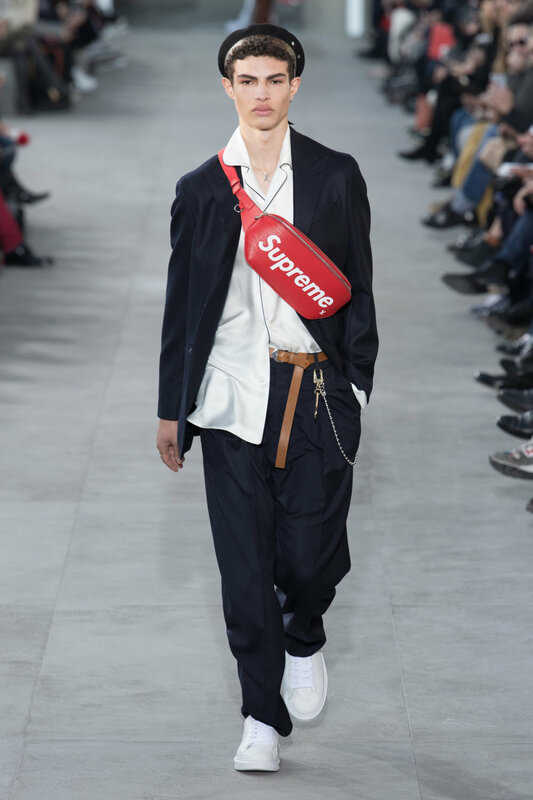 The LV x Supreme collaboration was a show for the hype beasts, the sidewalk colliding with the runway to yield an indulgent and exclusive, logo drenched collection to feed the frenzied masses.